There are a few kids’ swing set disposal options you can use when it’s time to say goodbye to that backyard amenity. Like dealing with old bicycles after Christmas, you’ll have to get a little creative to unload a kids’ swing set. (That is, if it’s not in the best condition.) Even if it is in useable condition, it’s big, bulky, heavy, awkward, and not easy to disassemble. In fact, some play sets are downright difficult to take apart or just as hard as the set up. Sell it online. If the set is in good condition (and isn’t on any current or past recall lists), you can simply put an ad online. Of course, the buyer will be responsible for taking off your property. Look for the same or similar sets and see their prices. Then, set your price lower and you’ll get more interest. Give it to a neighbor. If you have a neighbor with children who are the appropriate age, you can give it away. You can also sell it for a deep discount and put a little cash in your pocket while getting it out of your yard. Let it stay with the house. If you are selling your home and the swing set is in good condition, just leave it behind for the family you sell the property to and let them enjoy it. This way, you don’t have to lift a finger. Donate it to a school or church. Another option is to donate the swing set to a local school or church. Just contact a few and you might find a taker who can dismantle it and set it up on their property for kids to use. Call a junk removal company out. 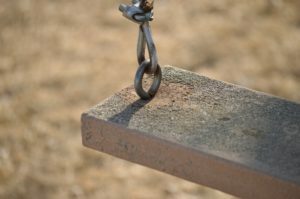 Should the kids’ swing set not be in good condition or you can’t seem to sell it or give it away, just have a junk removal company take care of it for you. This way, you won’t have to do a thing and you can get rid of other junk at the same time. If you need kids’ swing set disposal or playset removal done, go ahead and phone 800-433-1094 or visit Junk Garbage Removal. Our crew will take care of everything so you don’t have to break your back or take time out of your schedule to get rid of it.